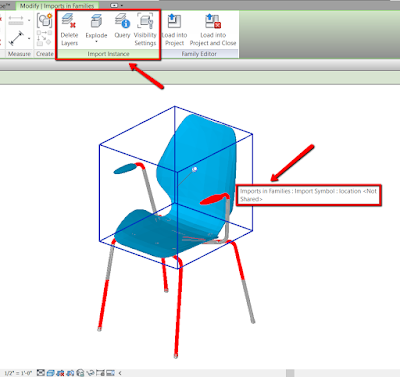 Phil-osophy in BIM: Randomize Color and Material in Revit - Dynamo Style! 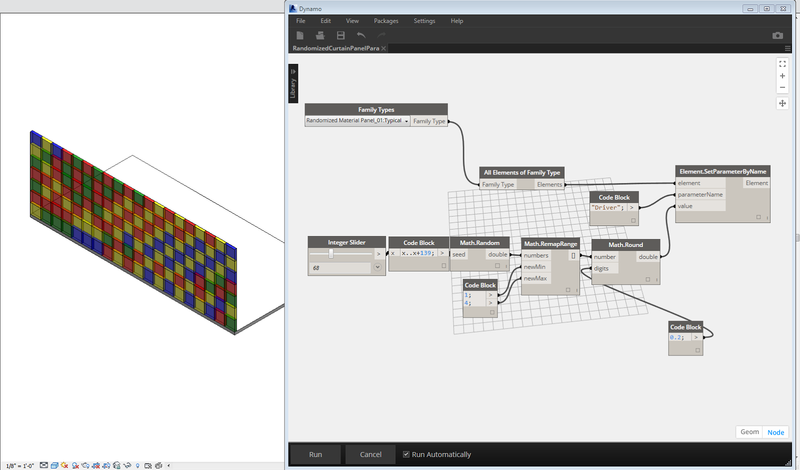 Randomize Color and Material in Revit - Dynamo Style! I made a post almost a year ago about how to use a third party app to randomize color and material for curtain panel in Revit. I have been wanting to do more study on how to this in Dynamo. Dynamo has gained so much attention recently and there are always new builds coming out every other week or so. I saw a post from Zach Kron some time ago and haven't got time to look into that until recently. He even made a YouTube video to show his process. First of all, huge thanks to Zach and now I am able to make my own twist and use that on my Randomized Curtain Panel family and have some fun with it. Below are some images that show by moving the Integer Slider back and forth to change the color of the curtain panels. You can find the sample file in this link also. Enjoy and more to come later! Awesome! I used both tutorials for using the randomizer app, and now this dynamo script, but it does not seem to be 100% random. It just repeats a certain pattern. It happens to you the same it happens to me. It is not 100% random, as you can see, the pattern moves diagonally.